In this paper a system for laboratory rodent video tracking and behavior segmentation is proposed. A new real-time mouse pose estimation method is proposed based on semi-automatically generated animal shape model. Behavior segmentation into separate behavior acts is considered as a signal segmentation problem using hidden Markov models (HMM). Conventional first order HMM supposes a geometric prior distribution on segment’s length, which is inadequate for behavior segmentation. We propose a modification of conventional first order HMM that allows any prior distribution on segment’s length. Experiments show that the developed approach can lead to more adequate results comparing to conventional HMM. Ekaterina Lomakina-Rumyantseva was born in 1988, currently she is a student at Moscow State University. Her area of interests includes machine learning and pattern recognition. She has 3 articles. Pavel Voronin, born in 1985, graduated from Moscow State University in 2006, currently is PhD student there. His area of interests includes scientific visualization, image analysis and video tracking. He is an author of 6 articles. Dmitry Kropotov, born in 1981, graduated from Moscow State University in 2003, currently works as junior researcher at Dorodnicyn Computing Centre of the Russian Academy of Sciences, areas of interests include machine learning, data mining, pattern recognition, artificial intelligence, image analysis, bioinformatics and language processing, has 13 articles including 1 monograph, a member of Russian Association for Pattern Recognition and Image Analysis, Russian Association for Artificial Intelligence, has best paper awards on different Russian and international conferences. Dmitry Vetrov, PhD. Born in 1981, graduated from Moscow State University in 2003, got hit PhD degree there in 2006. Currently works as researcher at Department of Computational Mathematics and Cybernetics in Moscow State University. His area of interests includes Bayesian methods of machine learning, statistical relational learning, data mining, image analysis, bioinformatics, cognitive science. 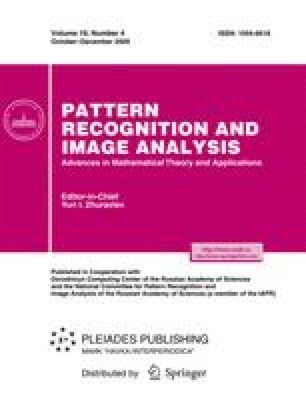 Author of 15 articles including 1 monograph, a member of Russian Association for Pattern Recognition and Image Analysis. During his work on PhD he received President scholarship for PhD students in 2005. Anton Konushin, PhD, was born in 1980, graduated from Moscow State University in 2002 and received his PhD in 2005 in Keldysh Institute of Applied Mathematics. He currently works as a researcher in Graphics and Media Lab, Department of Computational Mathematics and Cybernetics in Moscow State University. His area of interests includes video surveillance, image-based 3D reconstruction, image analysis and bioinformatics. Author of 14 articles.